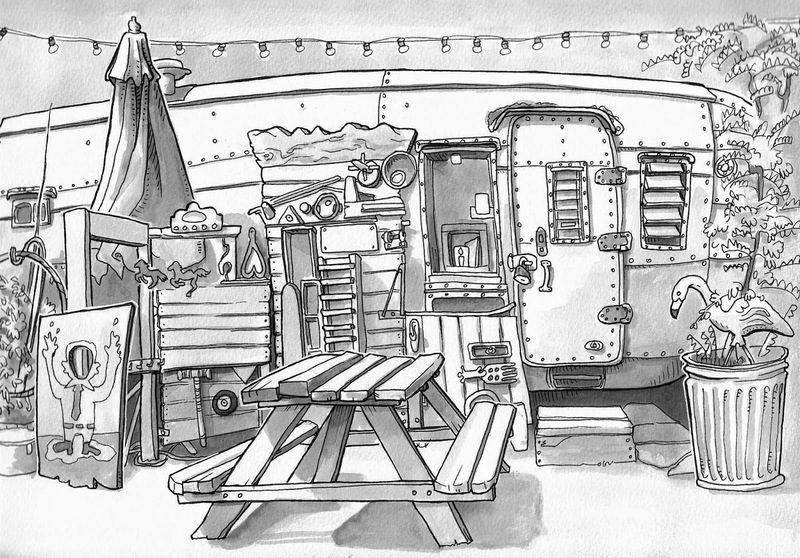 Urban Sketchers Seattle: Georgetown Trailer Park Mall. A perfect morning for a sketch crawl! And one could draw at this location many times and never repeat a drawing. With Fantagraphics and strong coffee only an eraser's throw away. I plan to draw here again. Good turn-out. Always happy to have joined in the fun. Love it, Steve. Nice to see you again. I knew Georgetown would get you to come! Great to see you!